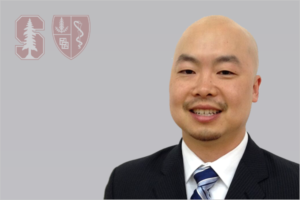 Karmont Mak, a native of Hayward, CA, joined the Stanford Athletic Training staff in June 2018 as an Assistant Athletic Trainer. Previous to Stanford he spent 2 years as the Head Athletic Trainer at Cal State East Bay. Prior to Cal State East Bay, he spent 7 years as the Head Athletic Trainer at Academy of Art University. His experiences also include internships with both the San Francisco 49ers and the Oakland Raiders, working as an Associate Athletic Trainer with Delaware State University and as a Graduate Assistant Athletic Trainer at San Jose State University. Karmont’s primary sport responsibility is the Cardinal football team. Karmont received his Undergraduate Degree from San Jose State University in San Jose, CA, and his Master’s Degree from California University of Pennsylvania.